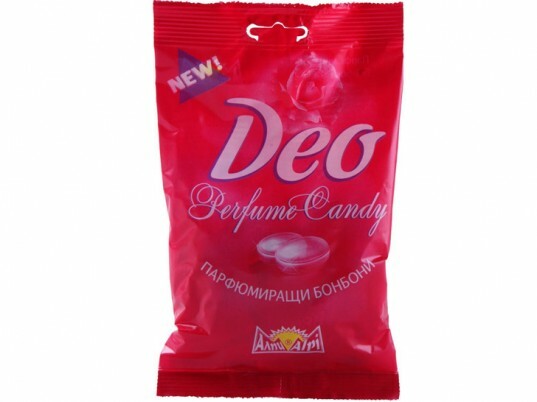 Think of Deo Perfume Candy as a breath mint for your entire body. A collaboration between Beneo, an American nutrition company, and Bulgarian candy-maker Alpi, the stink-fighting “edible deodorant” is a rose-scented boiled sweet that claims to leave you smelling like a floral arrangement. The source of the aroma? Geraniol, a natural, colorless liquid found in plants such as rose, lavender, and vanilla. (It’s also the primary component of many essential oils.) Like garlic, geraniol contains chemicals that cannot be digested. Instead, it’s secreted through the skin’s pores, resulting in a light, rosy fragrance that allegedly lasts for hours. Part of a new breed of nutricosmetics, loosely defined as nutritional supplements engineered to support the function and the structure of the skin, Deo is based on research that originated in Japan, where researchers confirmed that the consumption of geraniol served as a scent-delivery system through the skin. A single serving of four pieces affords a 145-pound person up to six hours of perfume-releasing power. The strength and duration of the fragrance depends on several factors, including body weight. A single serving of four pieces supplies 12 milligrams of geraniol—enough to afford a 145-pound person up to six hours of perfume-releasing power. “If you are being active—working out, dancing, or playing a sport—you will enjoy the effects sooner,” notes Deo’s website. Whatever Deo is selling, Americans are clearly whiffing…and buying. The candy is already sold out on Amazon, where it’s available in regular and sugar-free versions. Deo isn’t the first ingestible fragrance, however. Japan’s “Fuwarinka” gum claims to freshen your breath and perfume your skin at the same time. In 2011, Australian artist Lucy McRae collaborated with a synthetic biologist to create “Swallowable Parum,” a pill that supposedly excretes fragrance molecules through the skin via perspiration. i love this!!! i wanna bye it so bad! tell me wen i can bye on online store :-! 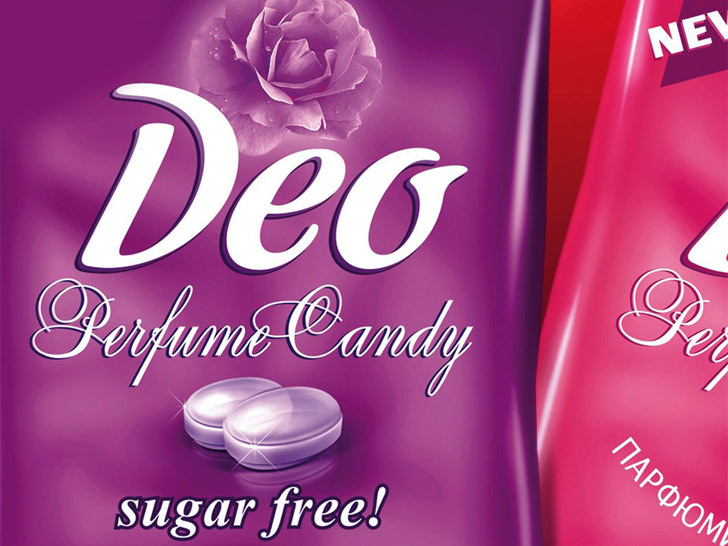 Think of Deo Perfume Candy as a breath mint for your entire body. A collaboration between Beneo, an American nutrition company, and Bulgarian candy-maker Alpi, the stink-fighting "edible deodorant" is a rose-scented boiled sweet that claims to leave you smelling like a floral arrangement. The source of the aroma? Geraniol, a natural, colorless liquid found in plants such as rose, lavender, and vanilla. (It's also the primary component of many essential oils.) Like garlic, geraniol contains chemicals that cannot be digested. Instead, it's secreted through the skin's pores, resulting in a light, rosy fragrance that allegedly lasts for hours.